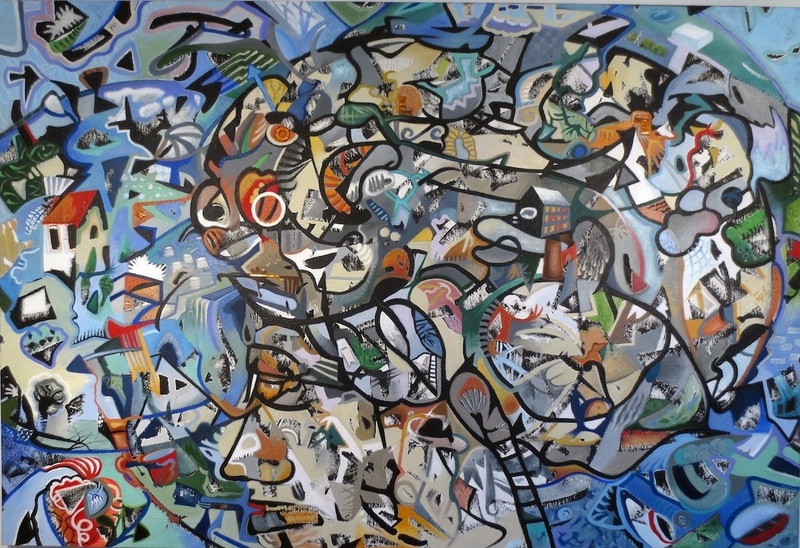 To Siri With Love - Acrylic on canvas - 52 x 77 in. 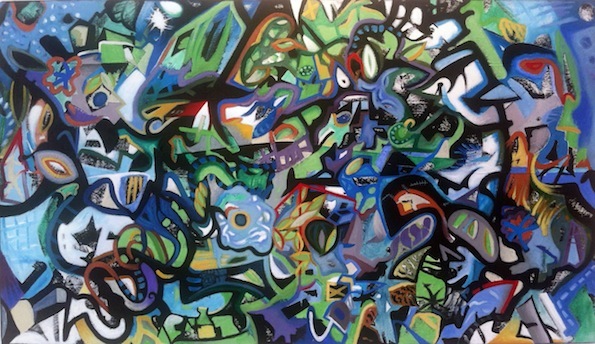 Cache & Cortex - Acrylic on canvas - 36 x 24 in. 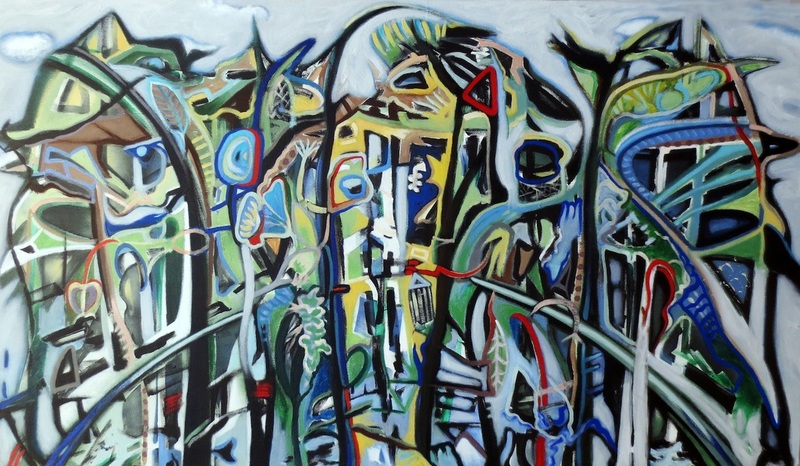 Randomly Accessing My Memory - Acrylic on canvas - 34 x 58 in. 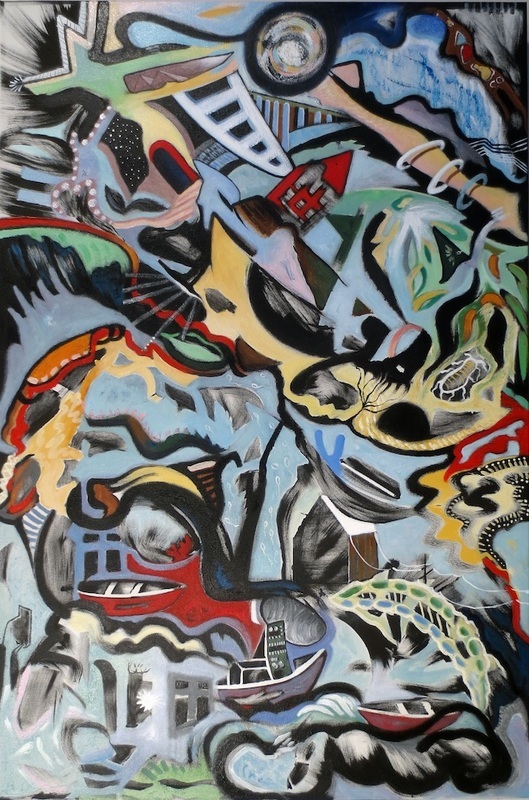 Sensory Overload - Acrylic on canvas - 32 x 56 in. 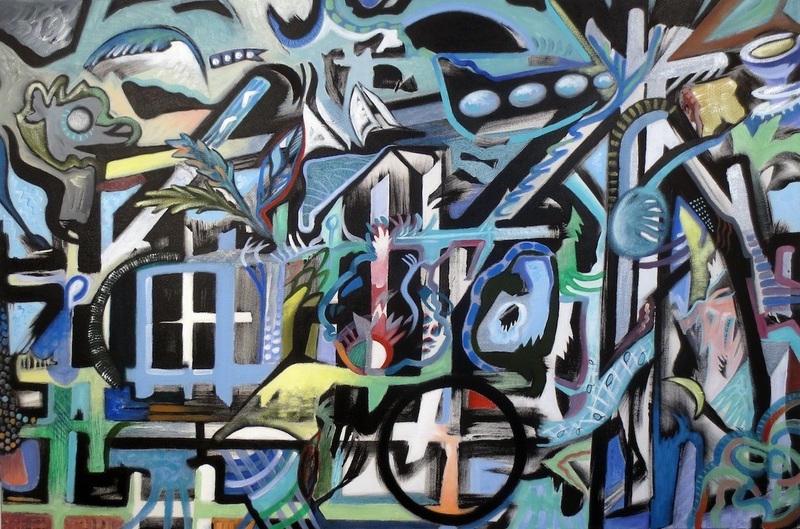 Psychosomatic - Acrylic on canvas - 24 x 36 in. Code RGB - Acrylic on canvas Triptych - 12 x36 in. 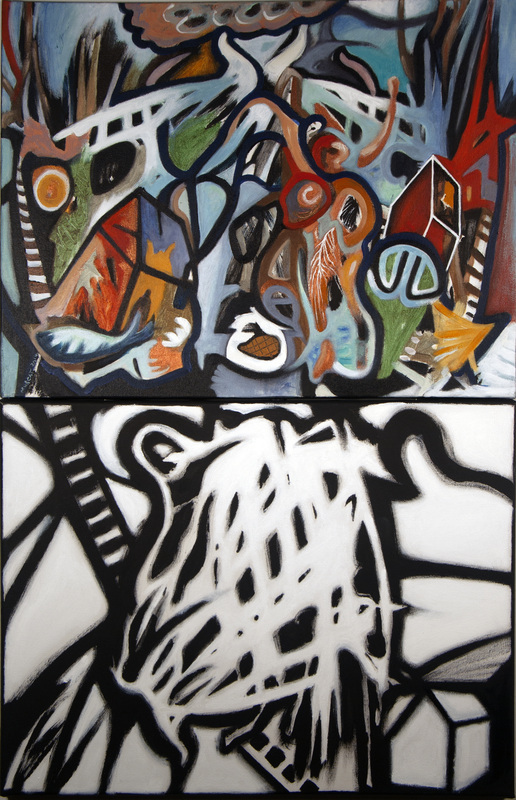 Digital Dendrites - Acrylic on canvas - Diptych 18 x 28 in. 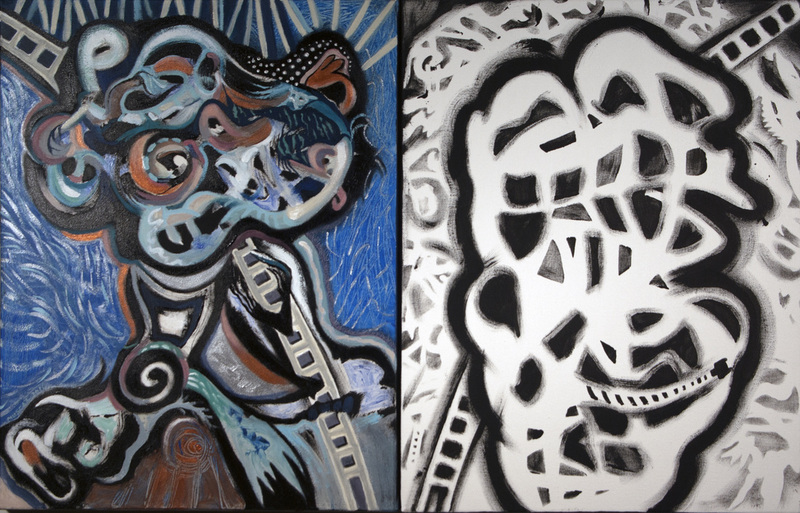 Obsessive Compu-l-sive - Acrylic on canvas Diptych - 18 x 28 in. 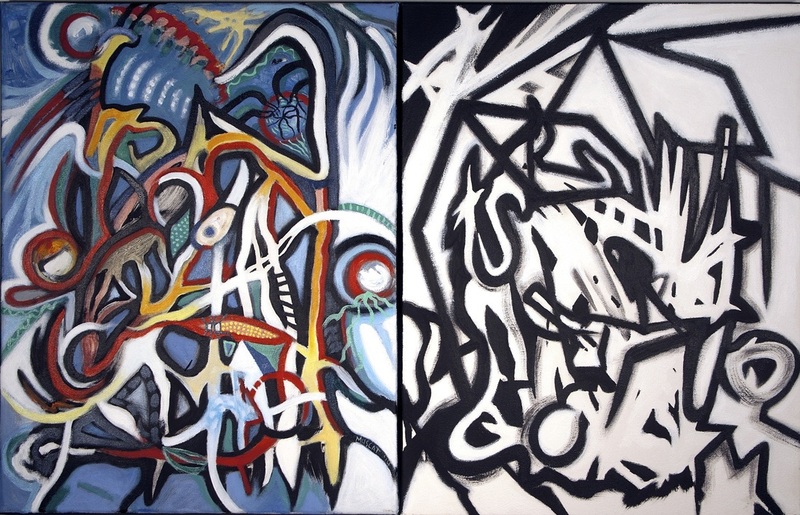 Anti-Boolean - Acrylic on canvas Diptych - 28 x 18 in.